Karina's Kreations: Stitched with Cheer card! 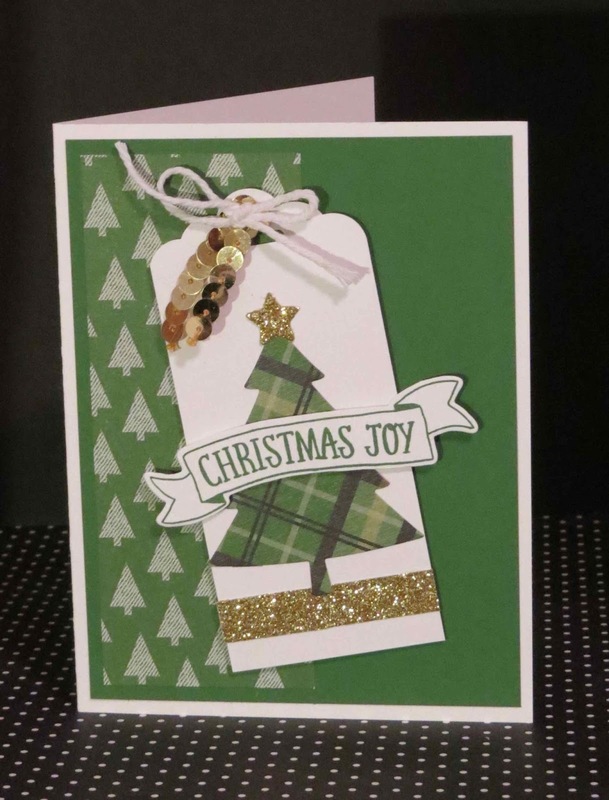 This cute card was designed by Ronda Wade. We are making it at our Thursday night class and would love for you to join us. The designer paper is called Warmth and Cheer #141991and the stamp set is Stitched with Cheer #142182. The tree was made with the Perfect Pines framelt dies #139665.